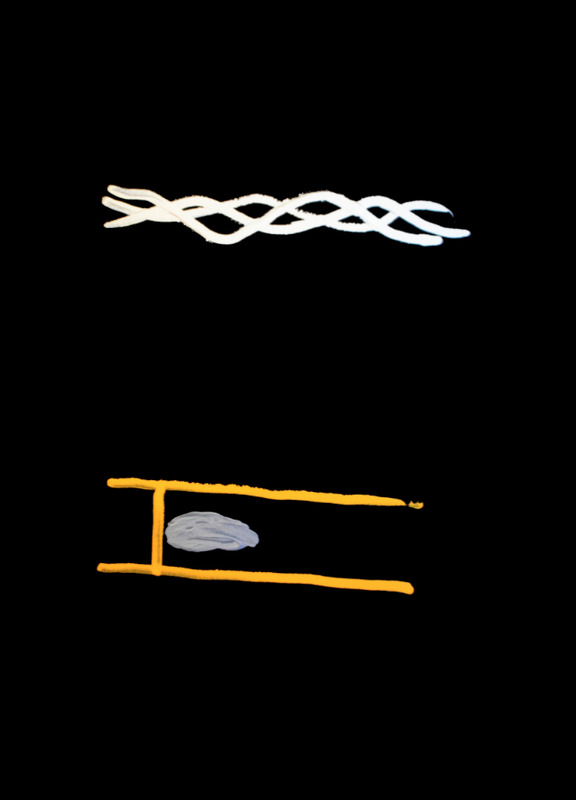 "Untitled 5," 1983, acrylic on black paper, 20x26 in. "Untitled 34," 1983, paint on paper, 20x26 in. "Untitled 6," 1985, paint on paper, 20x26 in. "Untitled 7," 1983, paint on paper, 20x26 in. "Untitled 44," 1984, paint on paper, 20x26 in. "Untitled 50," 1983, paint on paper, 20x26 in. "Untitled 62," 1983, paint on paper, 20x26 in. "Untitled 65," 1982, paint on paper, 20x26 in. ellsworth snyder was an American abstract painter, professional pianist, conductor, and scholar. He was known as a champion of avant-garde art and music and is associated with composer John Cage and the Fluxus art movement. snyder’s interest in avant-garde movement developed out his formal training in classical music. An Ohio native, snyder attended The Cincinnati Conservatory of Music where he earned both his bachelor and master degrees. In 1960 snyder accepted a position as music instructor at Newcomb College of Tulane University in New Orleans, where he began an experimental new music series titled “You’ve never heard anything like it”. The programs ranged from the twelve-tone compositions of Schoenberg to Fluxus “happenings”. One of these “happenings” in 1960 consisted of a performer crushing a light bulb into a frying pan. snyder developed a reputation for bringing to his avant-garde performances the same seriousness and sensitivity to tone, timing and clarity that he did to traditional classical music. In addition to his career as a concert pianist, ellsworth snyder taught at Milton College until its closure in 1981. His unconventional new music lectures of the late 1960s drew large crowds. He wrote extensively about the Fluxus movement and gave courses in piano pedagogy. Then in 1971 he took the position of music director at the First Unitarian Society in Madison, Wisconsin where he created a concert series that embraced both experimental and traditional music. In 1978 snyder began painting. He developed a distinctive style as an abstractionist that was minimal and yet employed the use of expressive gestures. John Cage included Snyder’s work in the exhibition Rolywholyover at the Museum of Contemporary Art in Los Angeles. Additionally, snyder’s art work has been exhibited in the Philadelphia Museum of Art in Philadelphia, the Walker Art Center in Minneapolis, the Mito Museum in Tokyo, the Menil collection in Houston, the Madison Museum of Contemporary Art, and the Chasen Art Museum in Madison, Wisconsin. ellsworth snyder died August 11, 2005.